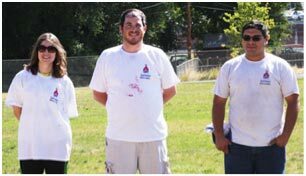 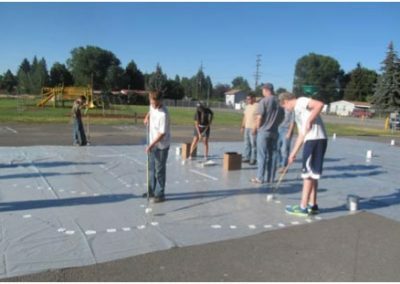 Project USA is another philanthropic program by Assistance League of Klamath Basin that has been in existence for some time. 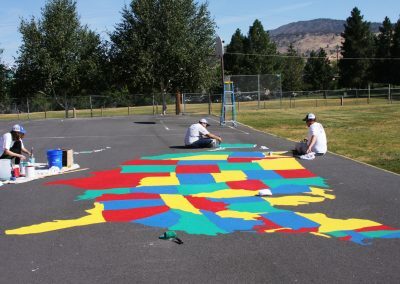 We paint or repaint very large United States maps on elementary school playgrounds. 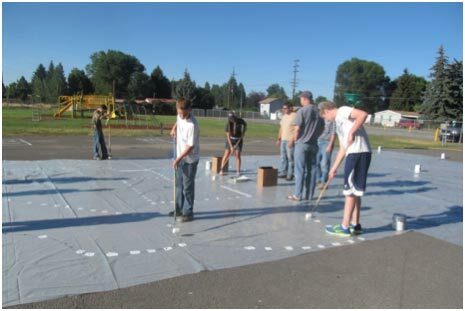 Klamath Basin teachers and students use these maps for educational topics in an outdoor setting. 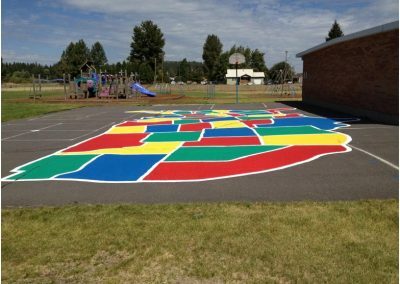 The maps are 65’ x 35’ of the continental US plus Alaska and Hawaii with each state outlined and in a different color. 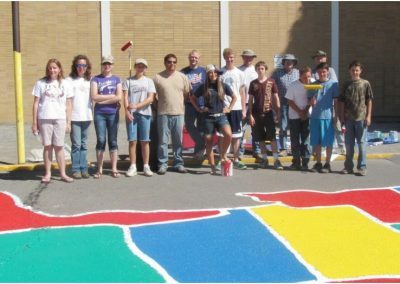 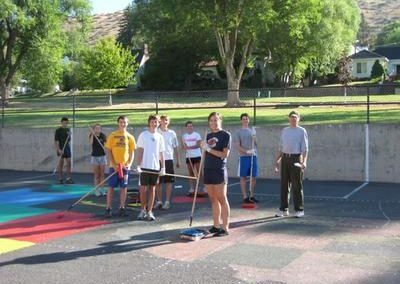 Volunteers (members, parents and other organizations) spend a few hours painting the map with a special paint designed for wear and tear. 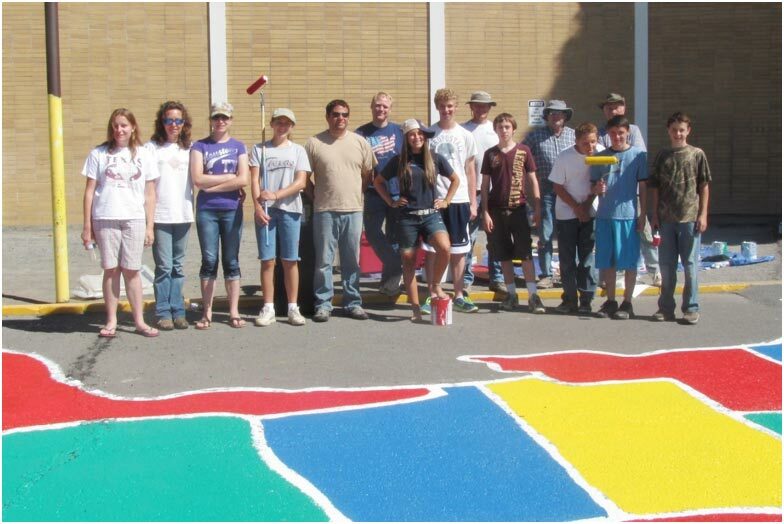 Sherwin-Williams of Klamath Falls supplies the paint and tools. 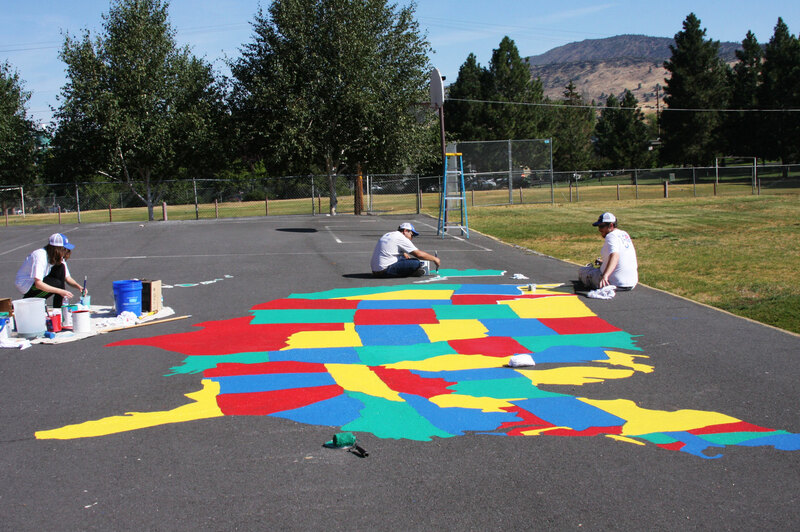 The school is getting a new map on their playground. 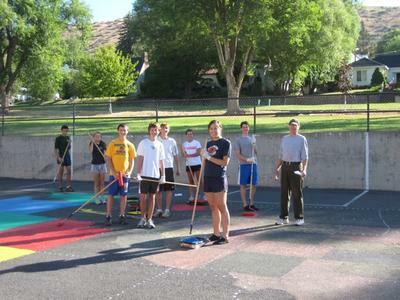 Volunteers Sara Andrea, Eric Arias, and Brian Downs, repaint playground maps at Peterson and Pelican elementary schools. Stearns Elementary School in the planning stage. 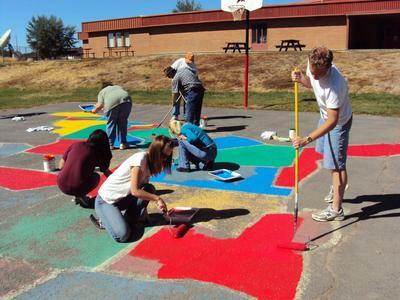 The painting stage at Peterson Elementary School. A shiny, newly completed map at Chiloquin Elementary School.